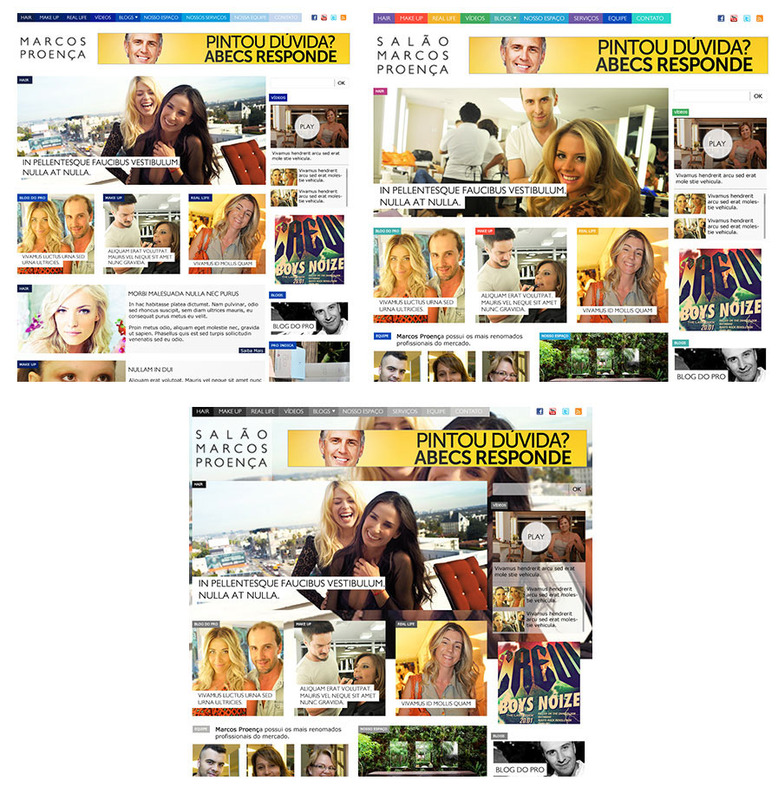 Marcos Proença is a hair stylist famous in South America and he came to Alfaiataria in need of a new look for his online presence. 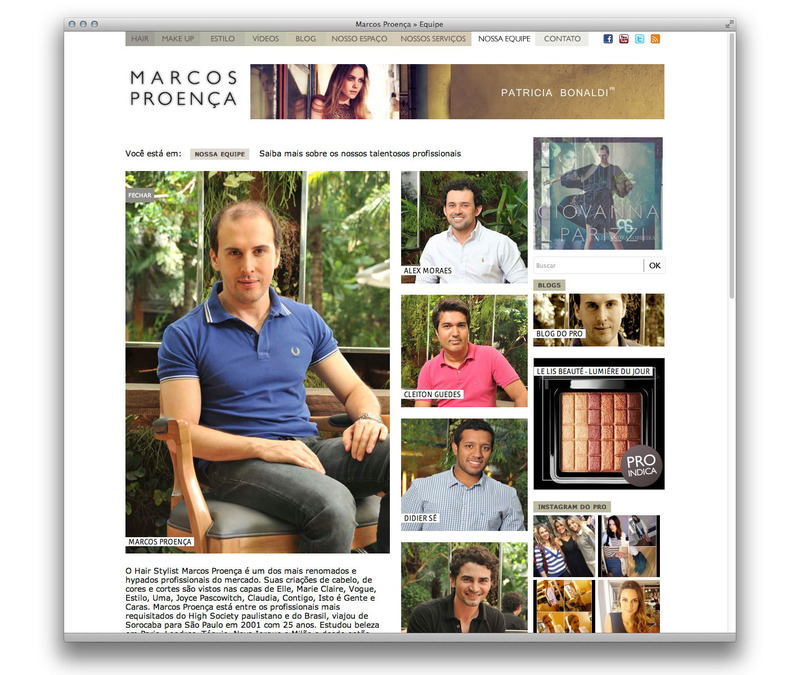 Marcos Proença is a celebrity hair stylist with a famous blog about glamour and fashion. He come to Alfaiataria asking for a new look for his blog. A new way of showing his work with a main focus on pictures. This is what we come up with. A gold like look with lots of white space and a great focus on imagery. 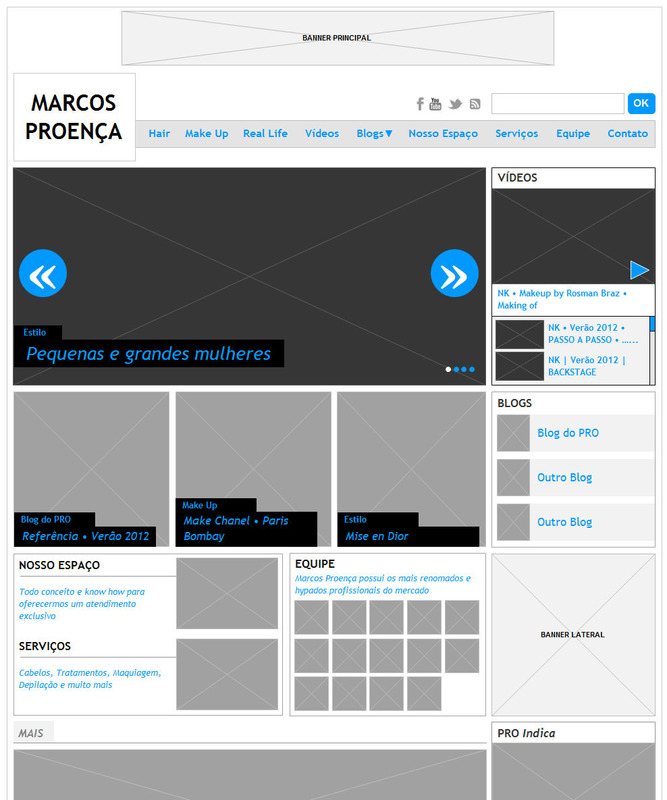 The wireframe or how everything started out. First colorful layouts with a different way of showing pictures and a different menu.